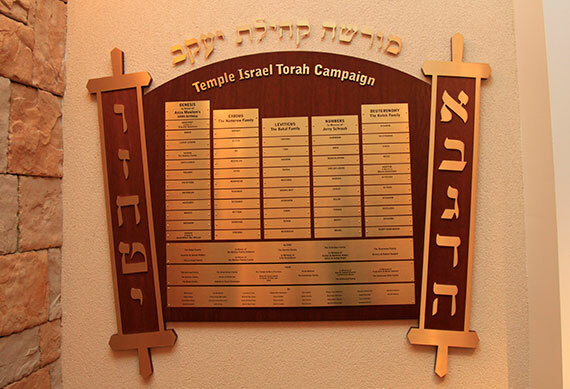 Honoring or memorializing a loved one – relative or friend – with a contribution to one of Temple Israel’s many funds or by sponsoring a Friday night Oneg Shabbat or Saturday morning Kiddush lunch is a wonderful way to support the synagogue. No occasion is too insignificant to mark or celebrate! The birth of a baby, a special birthday, college graduation, you name it! Click here to make donations online.